Fukutatei is certain to delight beef lovers and wine lovers alike with its course cuisine showcasing irresistibly delicious steak and its eye-popping cellar collection. The mesmerizing red charcoals within the majestic brick oven tantalize your taste buds, and a front-row counter seat allows you to admire the chef’s genius as he cooks guided entirely by instinct and love. Interwoven with stories from a truly classy chef, this is an elevated dining experience not to be missed. Affectionately known as the Ginza of the West, Kitashinchi is located right in the middle of bustling Osaka, close to Osaka and Umeda train stations. The district offers enormous choice in dining and entertainment options, but your journey leads you down a flight of stairs into the refined Fukutatei. 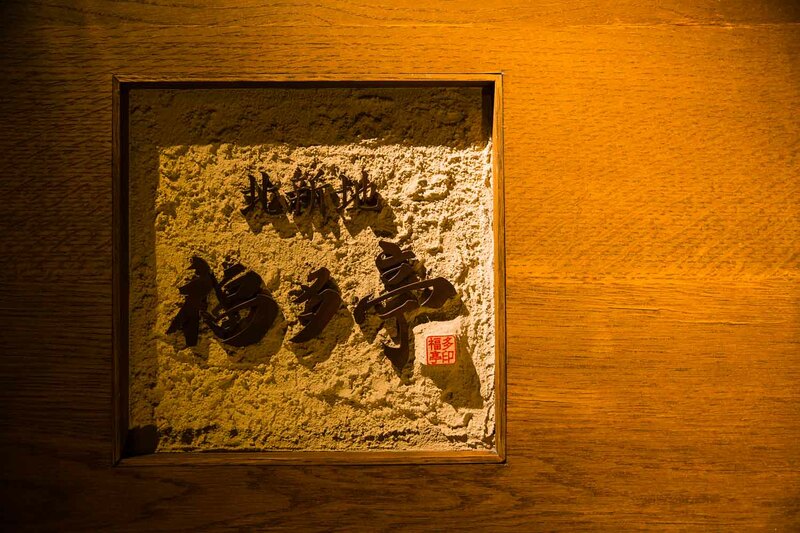 The restaurant’s auspicious name carries a wish for much fortune to make its way here, and there is no doubt that as you turn your back to leave Fukutatei at the end of the evening, you will feel like one of the luckiest people in the world. Low lighting hastens your expectation and as the door sweeps open the kitchen comes into full view. Enshrined behind the chef is a majestic brick oven specially built to occupy this space when it opened in 2012. The bricks were individually created from white clay found in the picturesque town of Tain-l’Hermitage on the banks of the Rhone River in southern France. 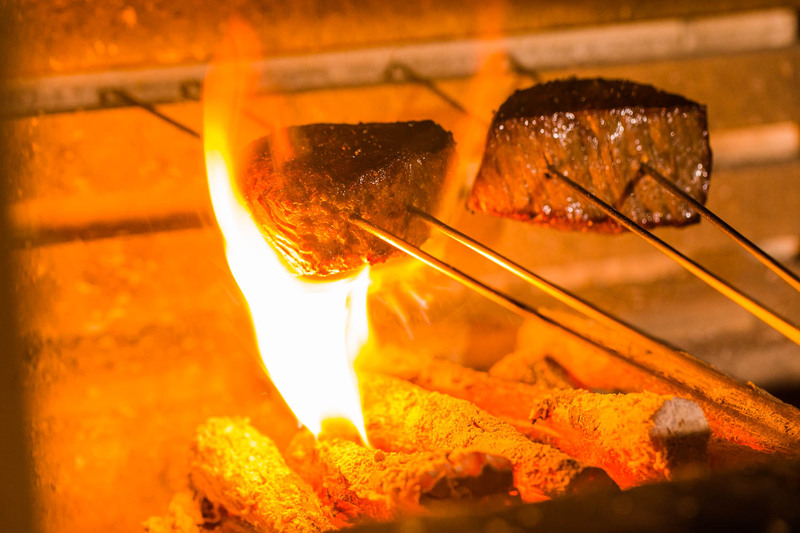 Fired by the highest-grade Kishu and Tosa charcoal varieties made from ubame oak, the cooking process harnesses infrared radiant heat in multiple iterations to yield perfectly sumptuous steaks. 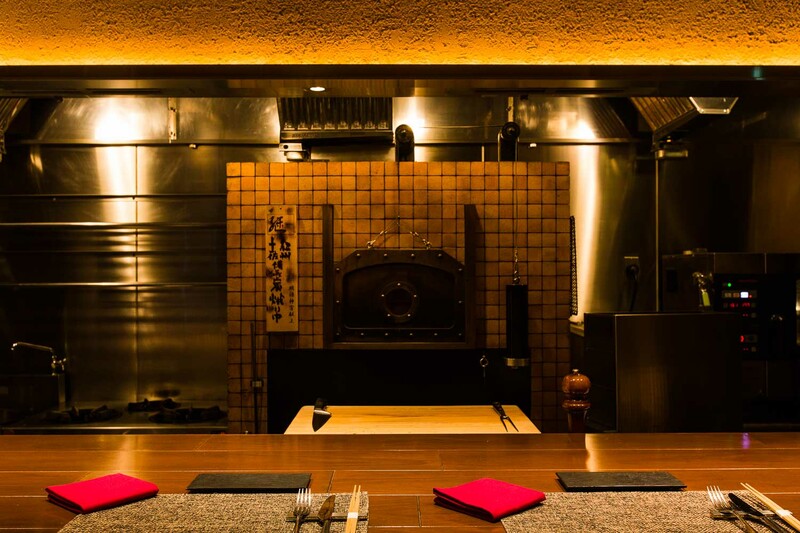 In addition to the counter seats offering what amounts to a live cooking performance, Fukutatei has two private rooms, and every guest is treated to the superb service of sous chef/sommelier and senior sommelier. Chef Ukai prepares seasonally-inspired delicate bites overflowing with originality and flavor to wow guests from their very first taste of his cuisine. 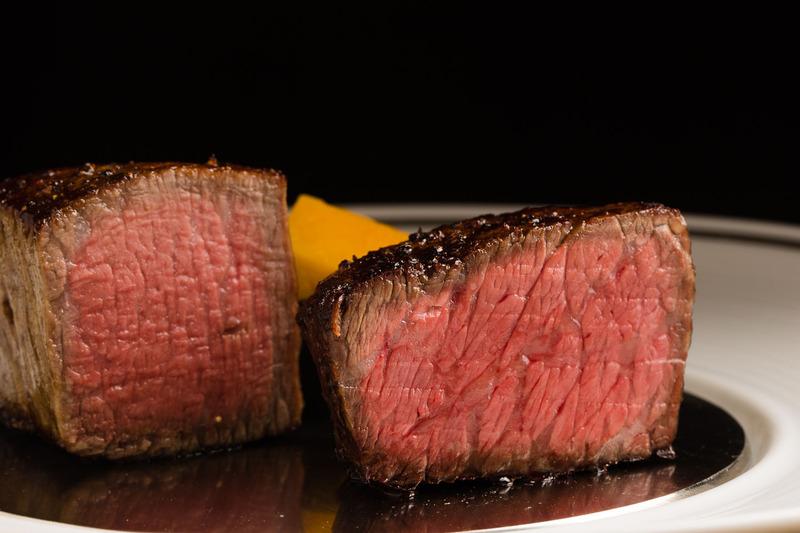 The star of Chef Ukai‘s cuisine is no doubt the oven-roasted steak, but beef lovers will be delighted to discover their favorite protein in countless different forms throughout the course. From a bone-in veal cutlet to an entirely homemade mini burger, the many faces of beef are certain to satisfy your craving. 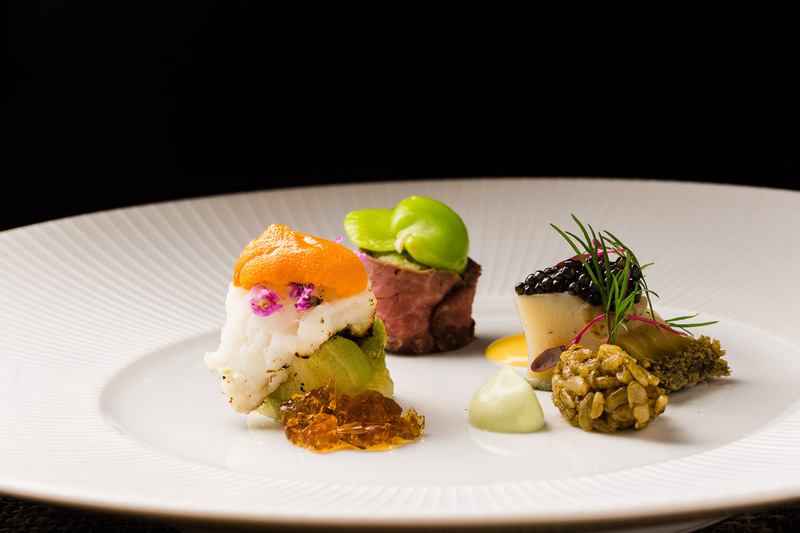 The appetizer plate demonstrates Chef Ukai’s wide-ranging skills, featuring caviar-topped slow-cooked abalone and a miniature rice ball dressed in abalone liver sauce; an Osaka Baba eggplant, grilled hamo pike conger eel and sea urchin stack with beef consommé jelly; and a scroll of cold roast beef made from the prized ‘necktie’ portion of the rump, topped with brilliantly green local fava beans, and served with a dollop of tarragon egg yolk sauce. 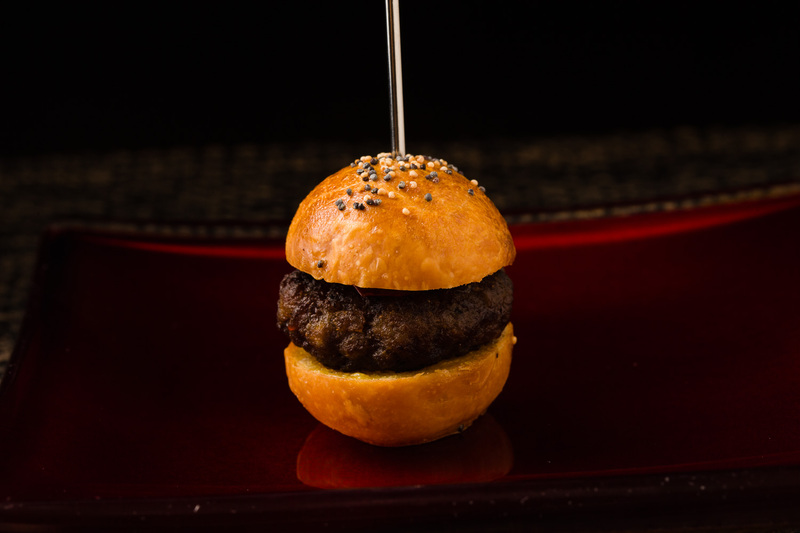 Next comes the amuse bouche – a premium slider! Cuts of the same beef used for steak are ground to make patties, which perfectly fill the homemade burger buns, accented by a semi-dried mini tomato and homemade pickles. Famed for its thick and juicy texture, Ukai’s signature bone-in beef cutlet is a dish he acquired under the tutelage of Gualtiero Marchesi, the first chef in Italy to be awarded three Michelin stars. 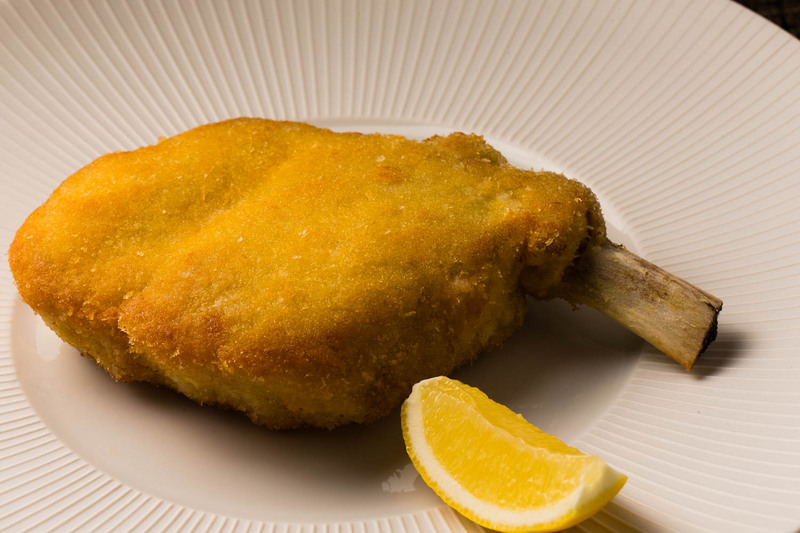 Using veal produced in Brittany, France, the thickness of the cutlets is the first aspect that shocks guests time and again. Biting in, the fine breadcrumbs give a delicious crunch and complement without overtaking the juicy beef flavors achieved through slow-cooking in unsalted butter. Served only with a wedge of lemon, as you lick your lips in satisfaction, you could be excused for thinking this outstanding dish was the climax of your course. Just at that moment you are presented with a large white dish lined with a thin iron plate signaling the arrival of the star — steak. 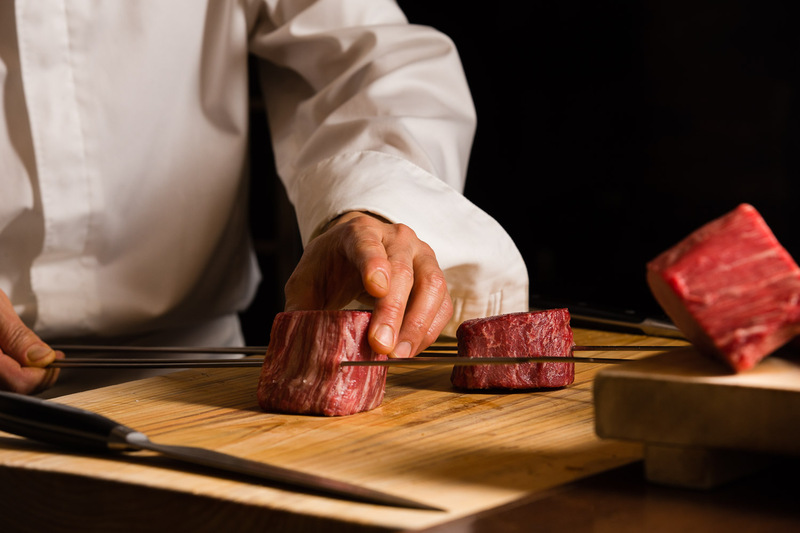 Not merely for presentation, Ukai uses this service style to ensure guests can enjoy piping hot steak to the very last bite. You might have Matsunaga Beef fillet from Shimane Prefecture or Nozaki Beef rump from Saga Prefecture, or any of several combinations of steaks, but each guest is treated to two cuts of steak allowing them to appreciate the unique characteristics and flavors each variety has to offer. Chef Ukai chooses not to limit himself to a particular brand of beef, but rather selects the best of the best in any given season based on a few conditions: the beef must be fine-grained and from female cattle that have not yet had calves. With three different varieties on hand at all times, Ukai does not age his beef, preferring to present it to guests in its freshest form. He has utmost confidence in his ability to serve steak with deliciously aromatic and crusty surfaces and juicy umami-rich centers. While binchotan charcoal is well-known for its moisture-locking ability, the use of binchotan charcoals made specifically from ubame oak enables Ukai to maintain a constant temperature and achieve an elegantly rich aroma. Depending on the beef’s condition, it will be taken out of the oven to rest up to four times in a time-intensive process guided by the appearance, Ukai’s image of how the heating process is proceeding, and a gentle touch with his fingertips. Traditional Naniwa vegetables and local produce feature especially in the appetizer plate, including juicy Baba eggplant and Kawauchi fava beans. Absolutely everything is homemade, right down to the semi-dried tomato on the mini hamburger. Hiroshi Ukai is native to Osaka, having been born there in 1966. He cooked at home from a young age, fascinated by the craft, and the decision to pursue Italian cuisine was driven by a desire to differentiate from his older brother who was already pursuing washoku Japanese cuisine. He joined a long-time Italian restaurant in Osaka after graduating from culinary school, working his way up to sous chef before setting on a mission to learn high-level Italian cuisine from its base — Italy. He was just 25 when he left Japan on a one-way ticket, not knowing exactly what would come next. He decided to attend hotel management school and then took on work at a trattoria while he studied. But he couldn’t endure the grimy, gritty environment. The lack of cleanliness made him turn his sights to a higher level and despite being almost certain of rejection, Ukai chose to knock on the door of Gualtiero Marchesi, Italy’s first three-star Michelin chef and considered by many as the founder of modern Italian cuisine. Ukai got lucky and the lack of a reference letter didn’t stop him from earning a coveted spot in Marchesi’s kitchen, mostly in the meat section, but with time to experience them all. After four years total in Italy, Ukai decided to head home, timed with a fair celebrating the cuisine of his master Marchesi at Tokyo’s Hotel New Otani. Ukai went on to teach at a top culinary school for two years until the devastation of the Great Hanshin Earthquake in 1999 caused the school to close. Uninspired by the choices for work, Ukai decided to start his own restaurant in Osaka at age 29. In addition to daily service, he held collaborative events several times a year with his opera singer wife, where guests could enjoy fine food while listening to opera. For 12 years he ran his own place and it wasn’t until his eighth year that he was truly happy with his own flavors. Then came great satisfaction for Ukai, but he started to lose sight of his goals and decided to close the restaurant when he was still just 42. He walked away from his chef career and started working at an Italian kitchen appliance maker. His return to cooking came in 2016 when he was selected as head chef at Kitashinchi Fukutatei, where just 18 months later as proof of his great 30-year career and polished skills, Ukai was awarded a Michelin star. He is eternally grateful to Chef Marchesi for bestowing him with a cooking theory foundation that paved the path for success in his current role. Having to work with a totally unknown oven, he dug deep into his theory and took a scientific approach to getting to know the oven and how it cooked. He kept weeks of data on hand in the form of charts comparing beef cuts, weight and thickness, and then set about maximizing the oven’s unique qualities to perfect every steak. His passion and commitment are unmistakable. Ukai’s vision is squarely focused on the beef: he wants to hone his precision further to share the full appeal of his product. He takes a flexible approach to cuisine and is determined to pursue originality. Comfortable in English, Italian and French, in addition to his native Japanese, Ukai is keen to use those skills to tell guests of Japan’s many and varied charms. While his sights are firmly on that role for now, he dreams of living in his beloved Italy again someday. More than 200 varieties of wine await you at Fukutatei, pleasing every palate and pairing perfectly with the cuisine. 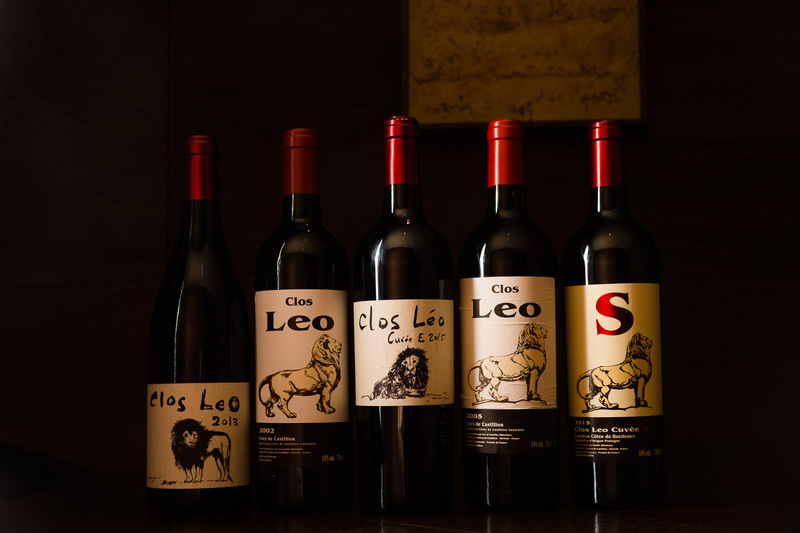 A glance reveals some of the world’s finest wines and one of the largest collections in Japan of Clos Leo – a winery in Bordeaux’s right bank started in 2002 by Leo Shinohara, formerly of Chateau Valandraud run by Jean-Luc Thunevin, a pioneer of the garagiste wine movement. What’s more, the nearby wine bar Mille Caresses shares its collection with Fukutatei guests. 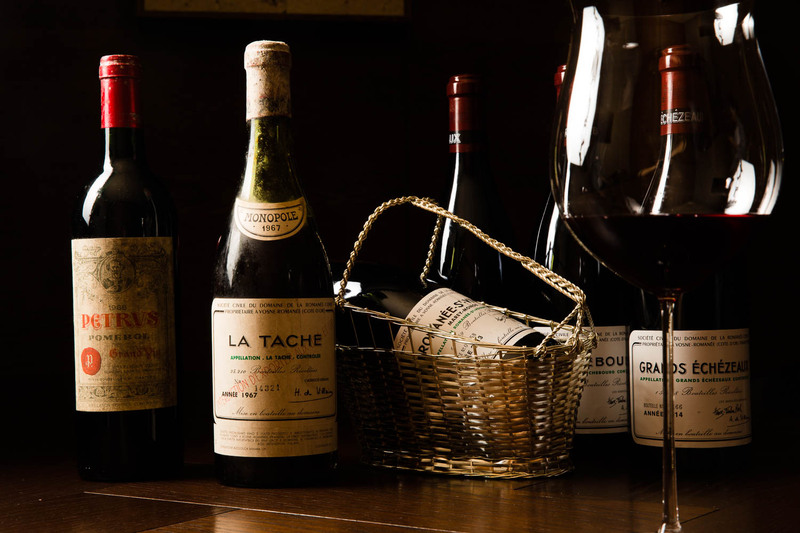 True to its name, the bar embraces you with its incredible selection of 1000 bottles of wine. The finest cuisine and your choice of any wine you could possibly dream of – it hardly gets better than that. The infatuation doesn’t end with the wine; it extends to the glasses too. Almost too beautiful to drink from, the collection exquisite items from Lobmeyr and Riedel, which perfect your every sip!